Stamates Jacket - GO BEARS! 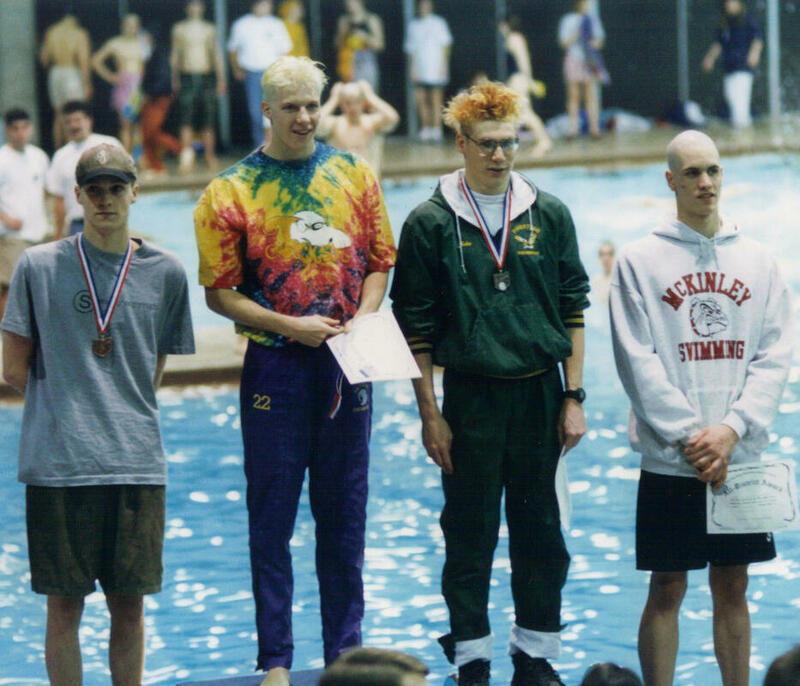 John Stamates is a legendary Jackson High School swimmer. His warmup jacket has been passed down through the years from an accomplished graduating senior to another outstanding swimmer. John still holds 3 school records after more than 20 years. John is the swimmer with the tie-dye shirt.